Have you ever had a dream so vivid it felt real? Maybe it was real. Maybe you are a dreamshifter. Jessica Kayne is an ordinary girl who works in an ordinary London cafe. But when she sleeps, extraordinary things happen. Because Jessica has an incredible power, not that she knows it…yet. When Jessica dreams up a perfect man, who turns out to be real – and recently murdered – her life takes a very unexpected turn. Her dreams become more vibrant and more deadly, and she starts to discover her very special power: the ability to cross into parallel worlds. It’s a power that puts her life in grave danger. Can Jessica realise her true potential and solve the mysterious murder? Or will the trail of death catch up with her before she can even begin? 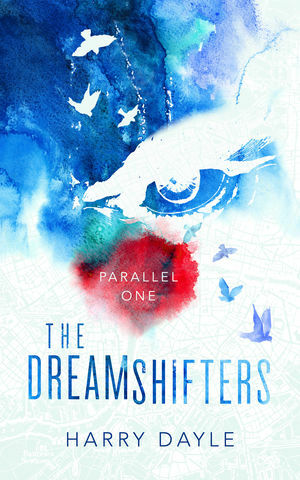 Parallel One is the first book in the Dreamshifters trilogy. It’s a fast-paced, pan-dimensional Young Adult mystery.